If Location, Location, Location is the real estate mantra, if you already have location, then you are on a sure winner if you also have scarcity: rarely seen 3, 4 & 5 Bedroom Luxury Riverfront Apartments. Not only are these larger apartments seldom found, but to have water views is also unique. Designed to capture river views from all apartments, and situated on the last remaining elevated section of land in this prime location,the superb apartment design incorporates the grandeur of a luxury home with the ease that comes with apartment living. Perfect and rarely seen unique OWNER OCCUPIER type apartments! 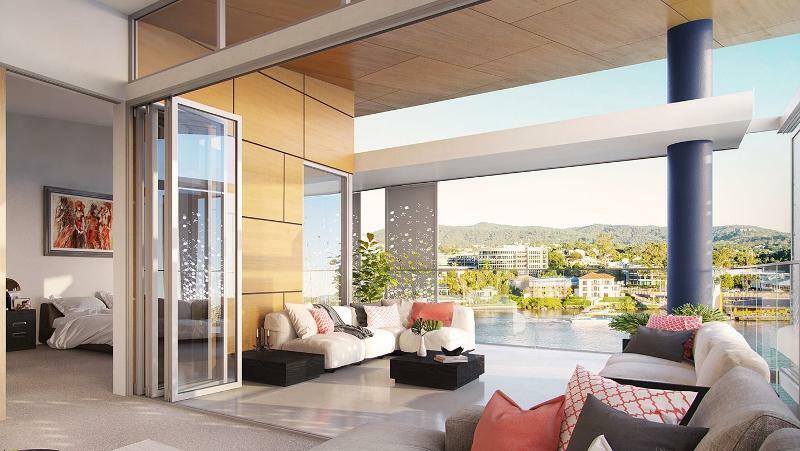 Positioned just 3.5km from Brisbane CBD and just 2.5km to South Bank restaurant precinct, museums, Queensland performing arts centre (QPAC) & Brisbane convention centre, residents will enjoy the lifestyle that this exceptional location offers. Overlooking beautiful parkland and the Brisbane River everything is here: exceptional design, lifestyle and views all in a prime location. • 3, 4 & 5 bedroom apartments. • Secure access basement parking. • Maximum of two apartments per foyer. • Selected apartments with private foyer. All images are indicative only.